If you to too feeble, you will be crushed. Polytheistic Reconstructionist Paganism is a relatively young movement, birthed in the late 60s/early 70s. As with anyone reaching certain stations in life there is often a period of introspection, of re-examining the past, and of looking to what the future may offer. Many who were born around the same time as Polytheistic Reconstructionist Paganism are now becoming Elders within the movement themselves. A new generation is inspired, seeking illumination, learning, wisdom, and this is as it should be, for the duty of an Elder is not to better their own standing, but to inspire others, and to prepare the way for those who are to come. They are the torchbearers of tradition. Celtic Reconstructionist Paganism, as a distinct separate movement can be traced back to the late 80s and early 90s, making CR a young adult having survived its difficult teenage years. In spite of the occasional tantrum and a few bruised egos the movement appears to have now reached a level of maturity. The catalysts for many who follow a celtic reconstructionist pathway can be varied, from a rejection of “Western” values, ecological and environmental issues, dissatisfaction with organised religions, through to societal concerns. Although still for the main part decentralized and non-hierarchical, the movement has grown into a social as well as spiritual community. The community, or maybe more correctly communitas, which many seek to build is based on the ethical insights, qualities and behaviour which the ancient Celts valued and aspired to. Fused into this are our spiritual and religious beliefs, as well as upholding those virtues held as a sacred duty; justice, impartiality, conscientiousness, generosity, hospitality, honour, beneficence, capability, honesty, eloquence, truth in judgement, and mercy. One of the main focal points that separates and defines polytheistic reconstruction is the importance of Orthopraxy rather than Orthodoxy, of “correct action” rather than “correct thinking”. We define our practices as a lifestyle, and identify "correct action" as living life in accordance with the specific ideals and principles of cultural traditions. A greater understanding of pagan ethics and morals has become the focus of many books over recent years from Emma Restall Orr’s “Living with Honour”, Dr Brendan Myers’ “The Other Side of Virtue” to John Michael Greer’s excellent “A World Full of Gods”, which focus on the philosophy of our beliefs. These books reflect the changes with Reconstructionist Paganism and within the wider neo-pagan movement as a whole where pagan theology and philosophy are now discussed on a level with more “established” religions. Many within the pagan movement, but especially those within the reconstructionist paths have long focused on scholarly research, whilst seeking to find balance through poetical inspiration, in order to maintain living, viable traditions. 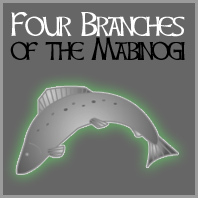 The very name “Reconstructionist” gives us one eye constantly on the past, we look to the Audacht Morainn, the Brehon Laws, the Mabinogion, the Mythological Cycles, the Wisdom Texts, historical and archaeological research to better understand the beliefs and practices of the original faith of the pagan Celts. But this alone is not enough. The beliefs and traditions that were practised during the early centuries of the present era were shaped by the society and culture of which they were born. Likewise our own mores and beliefs reflect the world in which we find ourselves today, regardless of the traditions we follow, and that is as it should be, for otherwise reconstruction could become re-enactment and with it spiritual stagnation. To attempt to live in an age gone by is folly, all cultures absorb the practices of their neighbours, and the ancient Celtic (and for that matter the modern Celtic) peoples were no different. To isolate and insulate ourselves against the world would leave us disconnected. For me there is only the travelling on paths that have heart, on any path that may have heart. There I travel, and the only worth while challenge is to traverse its full length. And there I travel looking, looking, breathlessly. From our perspective those fellow travellers we have met upon this path are people of good faith, to whom virtue, honour, wisdom and truth are far from empty words. It is a path were excellence in all things is held in high esteem and knowledge, learning and experience are respected. As a movement, as with any group, we are far from perfect (however you define that) but all we do comes from the heart. Celtic Reconstructionist Paganism aptly exists within three worlds, it seeks to learn from the past, whilst at the same time looking to the future, and, most importantly, it lives within the present.